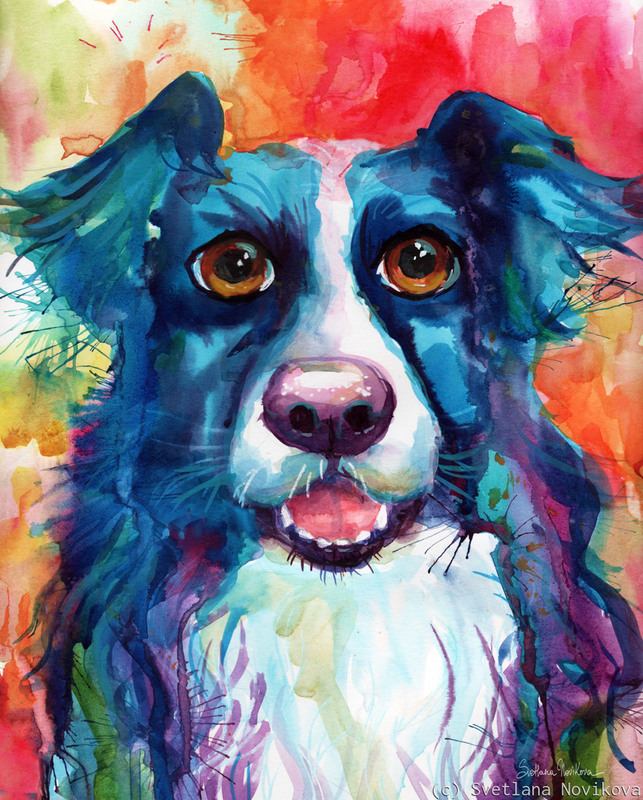 8.5x11 watercolor painting of a Border Collie dog by Svetlana Novikova. All rights reserved. Original is currently available. Please note, image was enhanced for printing, so colors on the original look slightly different then on monitor. I am available for Custom portraits from photos. 6.25" x 5"12.5" x 10"18.75" x 15"25" x 20"31" x 25"35" x 28"